What do you do when your seven-year-old daughter is diagnosed with a potentially fatal blood disease about which you know nothing and which requires making decisions that may determine her living or dying?Paul McLean, a former sportswriter at the Los Angeles Daily News, one-time arts editor at The Boston Herald and a stay-at-home father after his daughter was born, courageously fought to protect his child, preserve his sense of self even when it seemed everything changed by the day and, with his wife, made those difficult decisions. He also took meticulous notes, and wrote about his searing experience. 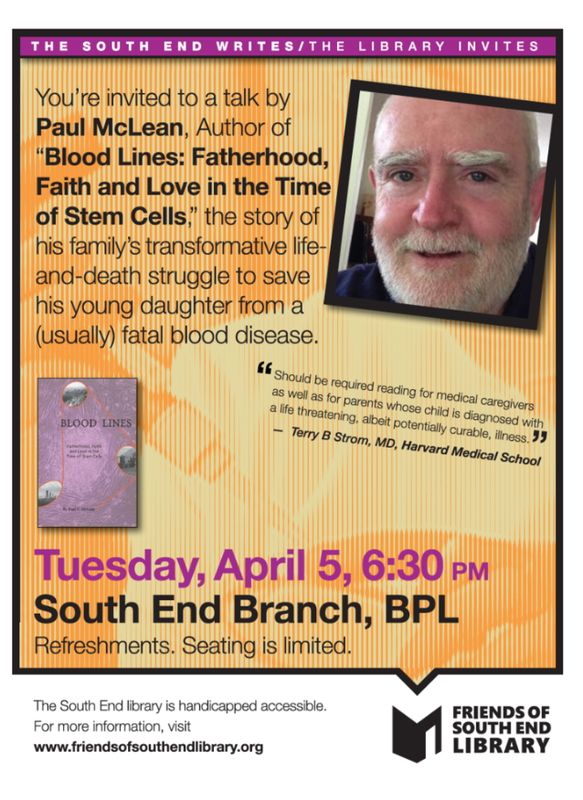 Blood Lines: Fatherhood, Faith and Love in the Time of Stem Cells is the harrowing and honest account of who he once was --a regular guy with a regular family, and who he had to become as a result of the existential threat to his child.